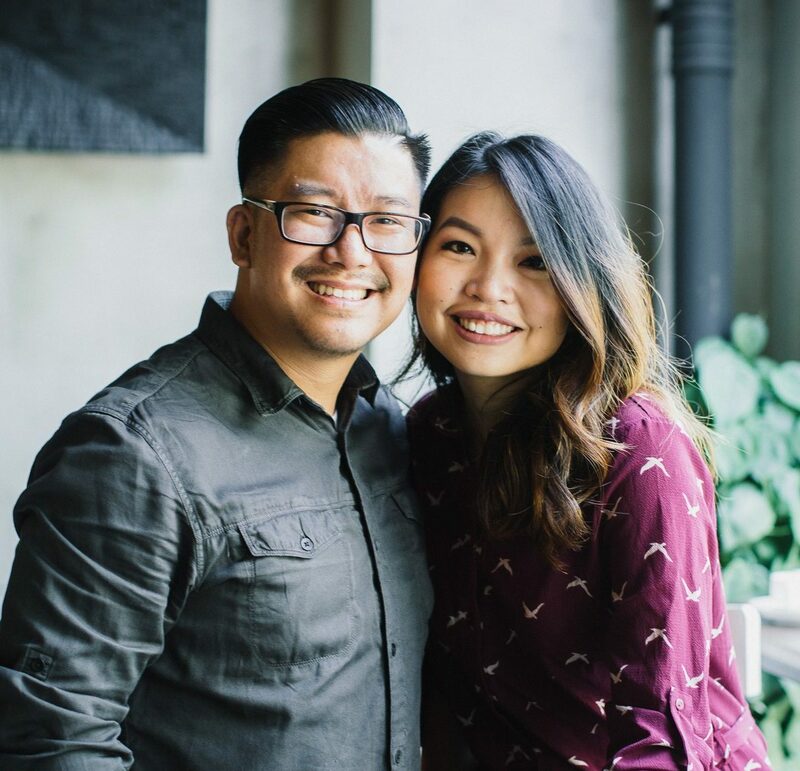 Guest Ministers Alarice & Calvin Hong from Awaken Generation will be with us at Soakability! Alarice released her debut album ‘Sunday Afternoon’ in 2011 with Warner Music and her sophomore project ‘The Kingdom’ with Oops!Asia in 2014. Alarice has graduated with a Bachelor of Commerce from the University of New South Wales in 2008and has attended Bethel’s School of Worship in 2012. Follow her at @alaricemusic! We need volunteers in order to make every Soakability service and SSS class amazing and life-bringing to the community. We need musicians, welcome team, ushers, projectionists and new ideas / initiatives on how we can make things better…. Our next Makan B4 Soak Potbless Dinner Gathering is on 20 April 2019 Saturday 6-7pm before church service. No registration required, just come, bring some food to share and let’s tuck in and get to know the rest of the Soak community. We are calling forth a Prophetic Assembly in Singapore to rise up! No more hiding, no more slumber, no more distractions, no more holding back – we must heed the urgency of fulfilling the Antioch Call! Pastor Kang Seng is a revelationary preacher from Singapore who has ministered in more than 20 nations. Fulfilling the Antioch Call on Singapore, he was sent by God to Thailand and has seen more than 10,000 souls added to the Kingdom of God with thousands miraculously healed. 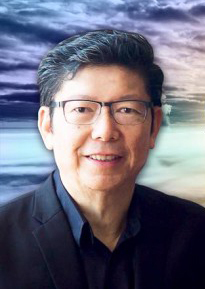 He is also the founder of Revive Asia, a platform committed to the revival of Asia, city and nation transformation. 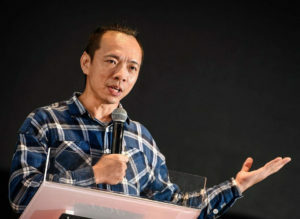 In 2018, Tabernacle of David was entrusted to Ps Kang Seng, a prophetic sign of the mandate to gather the remnant for end times Kingdom Purpose. Rev. Jeff Yuen started his ministry journey by prayer-walking in Singapore and many countries across Asia since the late 1990s. Rev. Jeff has also been a missionary in Thailand before returning to Singapore, where he embarked on a new season of revival ministry which includes starting Soakability church and being ordained for ministry under Harvest International Ministries (HIM). Because of his experiences in seeing amazing doors open after prayer-walking, worship and Presence-evangelism, Rev. Jeff has experienced changing the spiritual landscape of nations and churches with God’s love and power. Ushering in God’s presence is so powerful that miraculous signs and wonders and healing usually follow suit. Rev. Jeff now ministers and teaches supernatural ministry lifestyle, prophetic healing and evangelism on an international platform. He has written his first book “Presence-Driven Donkeys” based on his experiences and teachings. So many people long for a touch from God and the fact is God desires to touch each one of our lives! Not only does He want to touch you, He longs to hold you in His arms. In the same way that the father of the prodigal son rushed to the son to hold him in his embrace, our Father in Heaven is longing for us to turn towards Him, and see Him rushing towards us to wrap us in His loving arms. This class “Experiencing the Father’s Embrace” is not merely a theological concept. We will learn to awaken our spiritual senses to our Father’s Presence and encounter Him in a very tangible way. We must truly know God’s unconditional love and acceptance towards us, not just in our minds but in powerful defining experiences that change us. When we are changed in His love, we can change the world by His love. Open to public. Freewill offerings will be collected during the classes. Our next Makan B4 Soak Potbless Dinner Gathering is on 16 March 2019 Saturday 6-7pm before church service. We have Brother Hubert Chan with us at Soakability. At Soakability, we honour God’s presence and trust in His glorious ability to heal and destroy the works of the enemy. This Saturday, we look forward to seeing more healings and breakthroughs take place again. If you need healing or know somebody who does, come this Saturday for the Healing Service. 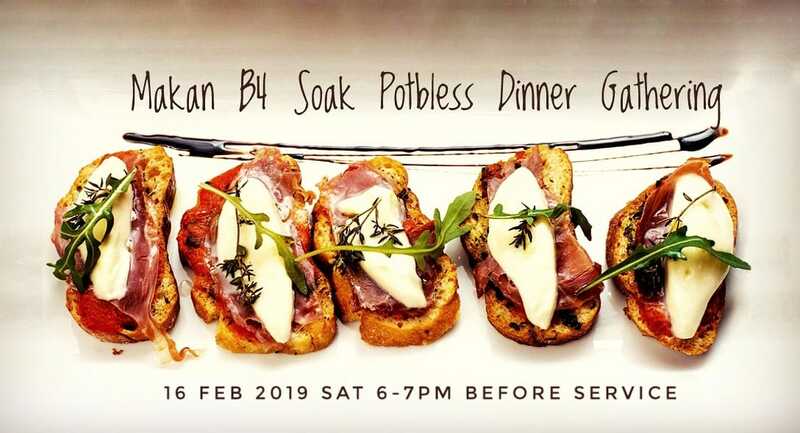 Our next Makan B4 Soak Potbless Dinner Gathering is on 16 Feb 2019 Saturday 6-7pm before church service.